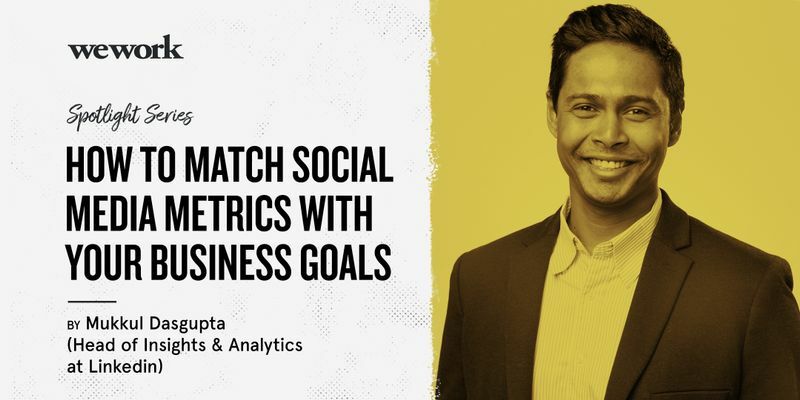 Mukkul Dasgupta Presents: "How to match Social Media metrics with your Business Goals"
The social media revolution is here to stay—many years ago, businesses used pen and paper to spread the word. Word of mouth became the only way to guarantee success and the only 'social media' that existed was through chit-chat in coffee shops or cafes. In today's context, every business ought to have an instagram or a Facebook account—but the question is, how can businesses accurately tie their social media KPIs (Key Performance Indicators) to their actual business goals? In this session, Mukkul will share with you how businesses can improve or adopt marketing strategies for their social media accounts so that it stays relevant to the company's business goals. Mukkul equips over 15 years of experience with top-tier management consulting and tech firms around the world, leading cross-functional teams and crafting market growth strategies to help businesses make smarter decisions. He currently is the Head of Insights & Analytics (Marketing Solutions) at Linkedin Singapore.